The radial engines being readied for installation in a new Hellcat. This is in Flint, Michigan. Life magazine HellCat ad. Final inspection in the Flint factory. Training on the Hellcat in Flint. This is not Buick in Flint but dose show the Hellcat engine being assembled. This is a mock battle at Kearsley park on the east side of Flint. The pavilion at the upper right was recently cleaned up and repainted. This structure appears in the background of early Buick photos when promotion pictures were taken at sites near the Buick plant. Here is the “General Pershing” heavy tank inside the Grand Blanc factory. These had a Ford engine but Buick still built the transmission. My uncle Lawrence Royer worked here until he retired in 1976. After tank production ended this became a Buick parts distribution warehouse (link here for 1946 story) before becoming a part of Cadillac. Here you see the “General Sherman” medium tank on a Flint street. The transmission drive was built at Buick but the tank was assembled at the Grand Blanc factory south of Flint. There were 17,213 built before the changeover to the “General Pershing” heavy tank introduced late in world war II. The Pershing lasted through the Korean war. 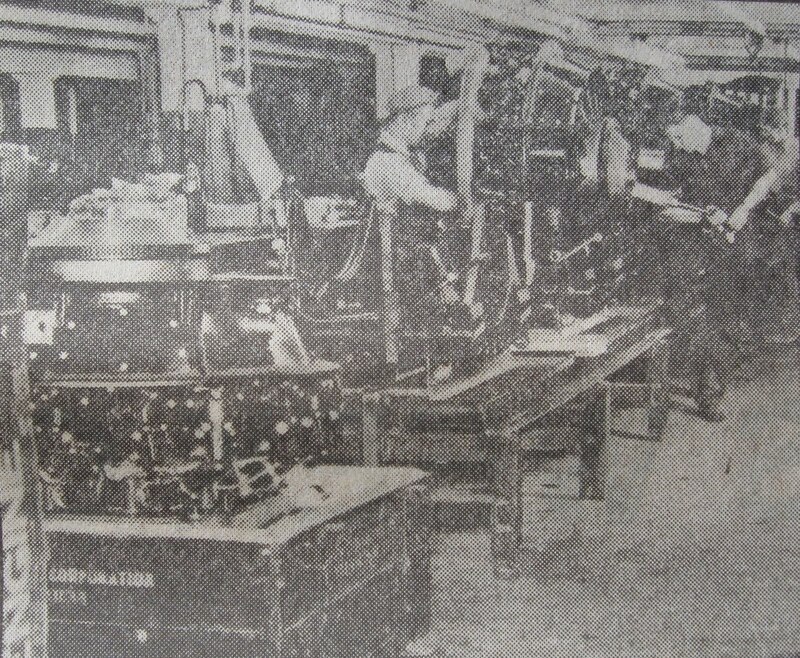 You can see the drive train being produced in the previous post “Buick At It’s Battle Stations.